Rev. Vincent Mokaya is a great asset to our ministry in Kenya. He submitted this report to us and we wanted to share it with you. It is long but well worth reading. It is an honor and privilege for Burning Plow Ministries to welcome you to Subukia which is a rural village in the Rift valley of Kenya, East Africa. It is about a four hour drive from Nairobi, Kenya’s capital city. This is one of the villages where Burning Plow Ministries has scheduled to teach the Foundations of Biblical Faith, as well as doing evangelism through the Jesus’ film early next year. I will be glad to share a brief story about how we got to know about Subukia. 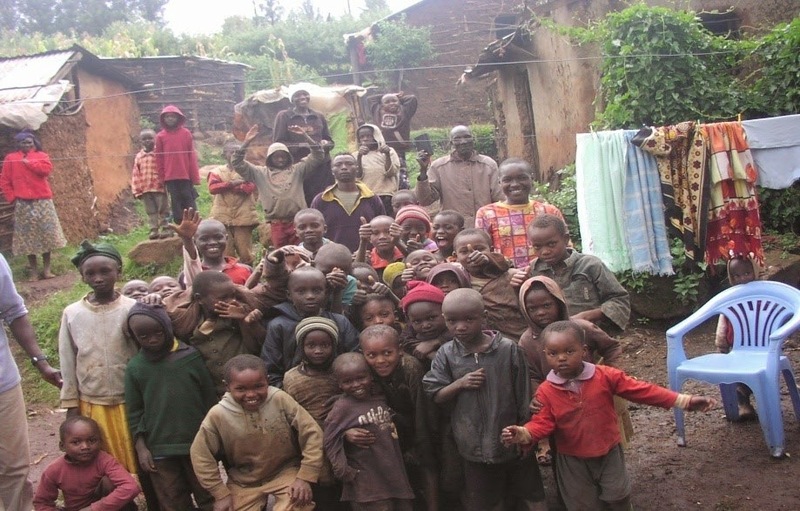 Three years ago, Burning Plow Ministries helped plant a church in a village called Kawaida which is located in the outskirts of Nairobi. Besides the financial support to this church, Burning Plow Ministries began a discipleship program where the class on the foundations of faith was introduced to the new believers in the church. Most of the students in this class worked in flower/tea/coffee farms and they stayed together in houses provided in the farm. Therefore this provided an opportunity that the training be conducted right on the farms. 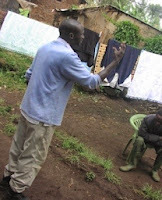 It was during a class session that Simon Tinga who works as a security guard was invited to the class. During that time, Simon had not surrendered his life to Christ. Therefore towards the end of the class, Rev. Don Cameron filled by the Holy Spirit, felt that he needed to talk with Simon about his relationship with Jesus. Immediately after taking a bold step of faith to talk with Simon, there was conviction and Simon made a choice; to surrender his life to Jesus and he became a believer that day. His wife later, after some days, surrendered her life too in a home fellowship. Simon later joined First Baptist Church as a new convert and has since been actively committed to the Biblical teachings and all other activities in this church. He has continued witnessing to many people about Jesus Christ. He confessed about how most people in his rural village lack the Biblical truth and so need to be taught. Therefore, Burning Plow Ministries has since responded to this need and has planned to visit Simon’s rural village to teach the Bible in 2015. Before Burning Plow Ministries takes a class to a new location, part of its preparations is to visit the place to confirm the need and also meet with representatives from various denominations in the location and share the agenda of the class. In other words, Burning Plow Ministries partners with the existing churches in its endeavor to teach the Truth. This is why we made a prior trip to Subukia, on October 17, 2014 with Simon Tinga as part of preparations for our next class that possibly takes place in February 2015. Our trip to Subukia was safe and successful. We spent three days in the village and so much was accomplished. We were received with joy and they were hospitable to us. 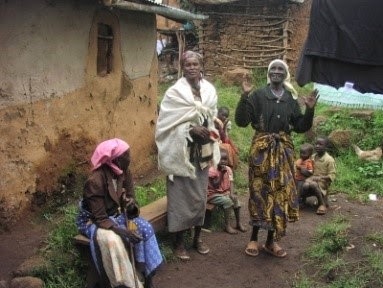 When we arrived at Simon Tinga’s home, we found family members and some of their neighbors waiting for us eagerly because they had been informed about our visit. We did not waste time but we got to familiarize with one another and then I introduced Burning Plow Ministries to them and the agenda for our visit. Simon’s testimony shook the hearts of the people who were listening. Two ladies surrendered their lives to Jesus after this call. “My God, thank you. I thought you never heard my cry over my son but I was wrong. I now know that it does not matter how long it takes for you to answer a prayer. You are such a faithful God.” Her eyes were wet with tears and she could hardly utter more audible words. 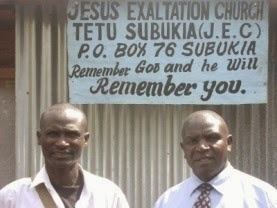 On Sunday, we attended a service at a church Called Jesus Exaltation Center where Paul Gakuha is pastor. It was such a blessing for us to be in the worship service. We later attended a pastor’s meeting where the need for the class was very well appreciated and welcomed. How we look forward to the NEXT class that is meant to stamp out the roots of HERESY in Kenya, Africa. We observed that most people in the village and even at church had no Bibles. So please, pray that God provides for more Bibles to the people in this village. God bless Burning Plow Ministries and all the partners for teaching the WORD!